The Delphi research group, comprised of faculty and students from CMU’s machine learning, statistics, computer science and computational biology departments, is part of a research initiative with the U.S. Centers for Disease Control and Prevention to develop methods of accurately forecasting flu activity. The group uses both artificial intelligence and the wisdom of crowds to guide their efforts at forecasting 2016-17 flu activity. During the last flu season, 2015-16, three forecasting systems developed by CMU proved to be the most accurate, besting the 11 competing systems fielded by ten other external groups in the initiative. 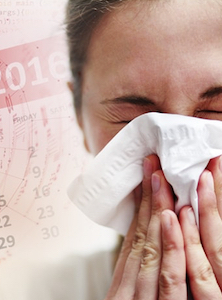 Read more about Delphi's Flu Forecasting for the 2016-17 season.